Is the S95 yet another Canon compact for serious photographers? 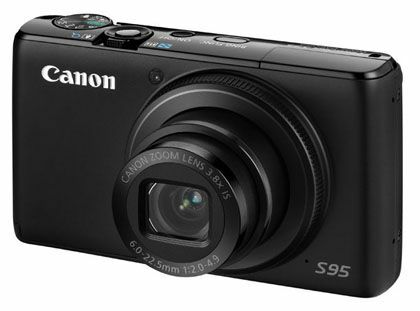 The Canon Powershot S95 was released a little over a year after its predecessor, the Canon S90, was announced. Building on a legacy of quality premium compact cameras, and with more and more entering the market, Canon have a lot to compete with nowadays, so does the Canon S95 still hold muster? Improvements on the Canon S95 include the addition of the HS system, a combination of a high-sensitivity 10.0 megapixel CCD sensor and DIGIC 4 processor, promising optimised low-light shooting. Manual control has also been upgraded, while HD movie recording has been added. For the first time in a compact, Canon's Hybrid IS technology which provides image stabilisation has also been incorporated. It's brought over the ability to shoot in RAW, the useful ring-control system and the same 6-22.5mm (35mm equivalent: 28-105mm) f/2.0 lens. In short, you're getting a fair old bang for your buck.